What Makes Koch 33 Toyota Different? 1PA Inspections included on every vehicle in your household, once a year. See Dealer for details. 2ToyotaCare covers normal factory scheduled service for 2 years or 25,000 miles, whichever comes first. See Toyota dealers or details and exclusions. Valid only in the continental U.S. and Alaska. 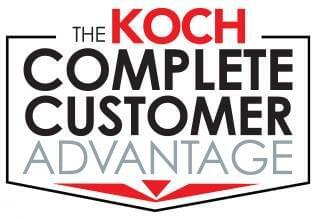 3Dent & Ding repair supplied by Koch on new vehicles only or 1 year-available by appointment only; transferable. Interior Stain Protection on new vehicles only. PA Mandatory Disclosure; This is a combined offer. Make your best deal on a package price.